Pinocchio has been released on home media many times over the years. 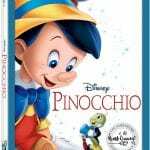 And since many of the deleted scenes and other meatier behind-the-scenes featurettes (or “Classic Bonus Features”) were already covered on these previous releases, the Disney team had to do some digging to come up with worthwhile content to add to the Pinocchio: Walt Disney Signature Collection. On this release, some of the new bonus features stick, while most do not. The Pinocchio Project: “When You Wish Upon a Star” – This leads off for the bonus features and, unfortunately, it should have been listed last on the menu becuase it’s rather lackluster. We go behind-the-scenes with “music influencers” (AKA they have a decent amount of YouTube subscribers) from Disney’s Maker Studios – Alex G, Tanner Patrick, and JR Aquino – as they record a new rendition and music video for the film’s signature song, “When You Wish Upon a Star.” Unless you’re fans of the trio, there’s really nothing special about this featurette because you’re probably wondering, “Who are these people?” Also, considering the song has been redone countless times for Disney remix albums like Disneymania 3 and by various artists, such as Idina Menzel, Julie Andrews, and Linda Ronstadt, this version is nothing to write home about. Walt’s Story Meetings: Pleasure Island – This featurette is notably one of the best on the disc. Pixar’s Pete Docter and Disney animation historian J.B. Kaufman talk about Pinocchio‘s Pleasure Island scene, basing the discussion on transcripts from Walt’s story meetings and newly discovered artwork found in Disney’s animation research library. We get to see some attractions, gags, and games, which were ultimately cut, and learn a bit about Walt’s thought process in helping craft this dark and foreboding scene. Kaufman recently released an incredible book about the making of the film, Pinocchio: The Making of the Disney Epic, and since he’s such an expert on Disney animation and this film in particular, it’s a shame that we only get him speaking in a few scenes. Kaufman is incredibly underutilized and, due to the small amount of new bonus features that accompany this release, a featurette staring just Kaufman would have been merited, especially as an additional way for Disney to cross promote the book. In Walt’s Words – Pinocchio – In this bonus feature, we hear Walt himself describe the process of making Pinocchio through archival recordings and interviews. While nice to hear Walt’s voice, the segment is quite short and doesn’t reveal too many new insights. Oswald the Lucky Rabbit in Poor Papa – With no direct connection to Pinocchio and assumedly as a way to fill space, we are given this recently restored and newly scored 1927 Oswald the Lucky Rabbit short in which he gets multiple visits from a stork delivering an onslaught of babies. It’s not Oswald’s best short by a long shot and isn’t that engaging. 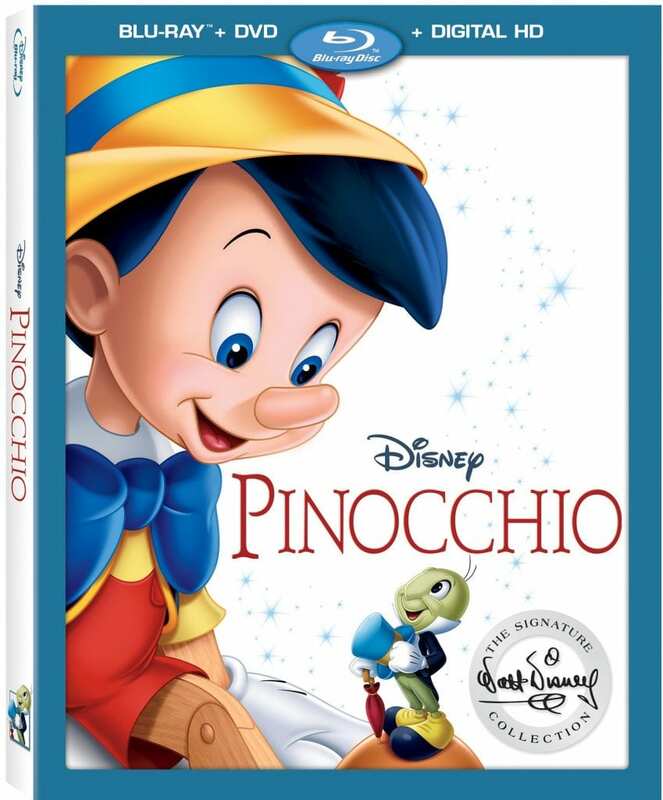 Classic Bonus Features – These are bonus features found on previous home media releases and include the making of Pinocchio, deleted scenes, sing-alongs, storyboards, and theatrical trailers. Many of these are quite well done and worth checking out if you haven’t watched them before. If you cut out the Oswald and “When You Wish Upon a Star” filler, the Pinocchio: Walt Disney Signature Collection really only has two new bonus features, one of which is pretty meager. It really is a shame considering they had access to Kaufman as a resource and could have crafted some really interesting featurettes if they were willing to put in the time. If you don’t already own Walt Disney’s masterpiece Pinocchio on Blu-ray, then I would definitely skip this one.